Over five decades after its introduction, the Citroën DS is remembered as one of the most influential cars ever to come out of Europe. 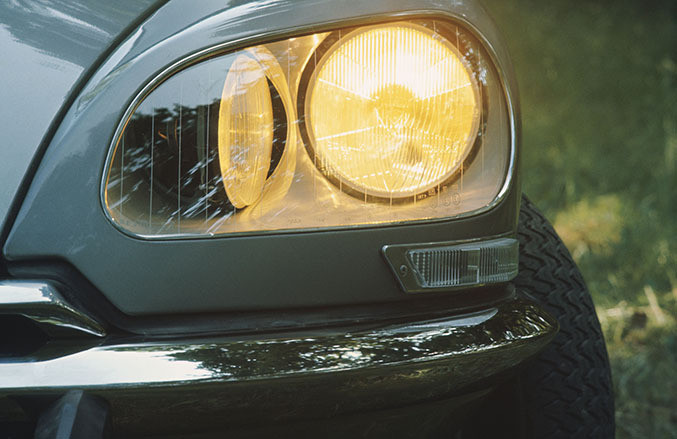 It’s not the rarest or the most expensive Citroën ever built but it left an indelible mark on the automaker’s history. The 1930s were a tumultuous era for Citroën. Faced with mounting debts, the French automaker filed for bankruptcy in 1934 and was subsequently purchased by the powerful Michelin family. Engineer Pierre Boulanger took the reins of the company a year later after founder André Citroën unexpectedly died of stomach cancer. Boulanger immediately launched two projects called TPV and VGD, respectively. TPV was an acronym that stood for très petite voiture (“very small car” in French) and VGD represented voiture de grande diffusion (“high-volume car”). The VGD was scheduled to debut in the early 1940s to replace the 7CV / 11CV Traction Avant that was introduced in 1934 but Citroën changed its plans in the months leading up to World War II. The company put the VGD on the back burner and prioritized the development of the TPV because it understandably believed a small, affordable car would be more important in post-war France than a large family sedan with a relatively high price tag. 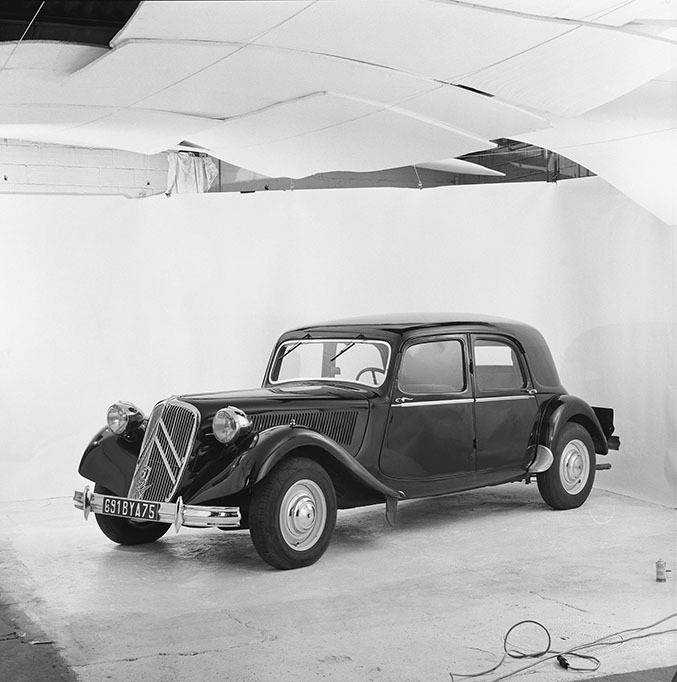 After the war, the TPV project eventually spawned the iconic 2CV while the Traction Avant continued its reign at the top of the Citroën lineup. Work on the VGD project resumed in the early 1950s and the sedan’s basic attributes were laid out on paper: executives decided it would be powered by a flat-six engine and equipped with an advanced hydropneumatic suspension system in lieu of conventional metal springs. It quickly became evident that developing the flat-six was too costly and time-consuming so Citroën reluctantly settled on using the 11CV’s aging four-cylinder engine. However, the complex hydropneumatic suspension was approved for production and fitted to the rear axle of the upscale 15-6 H sedan starting in May of 1954 in order to test its application on a mass-produced car. Citroën chose to call its flagship sedan DS because the letters are pronounced “déesse” in French, a word that literally translates to goddess. The first pre-production cars were hand-built in utmost secrecy in the summer of 1955 and the car was unveiled the following October at the Paris Motor Show. The DS was a show-stopper. Aerodynamic and futuristic, it looked like nothing the public had ever seen before and stunned journalists wrote it was 20 years ahead of its time. The car stretched 189 inches from bumper to bumper and stood out thanks to a sleek front fascia without a radiator grille, frameless doors, a roof panel crafted out of reinforced plastic and a rear track that was nearly eight inches narrower than the front track. The engine was mounted behind the front axle, making it possible for designer Flaminio Bertoni to give the DS a sharp front end with a low hood. The cabin was equally modern with a large glove compartment and a wide single-spoke steering wheel. All told, the DS was lightyears ahead of what rival automakers like Renault, Peugeot, Panhard and Simca were displaying at the Paris show. 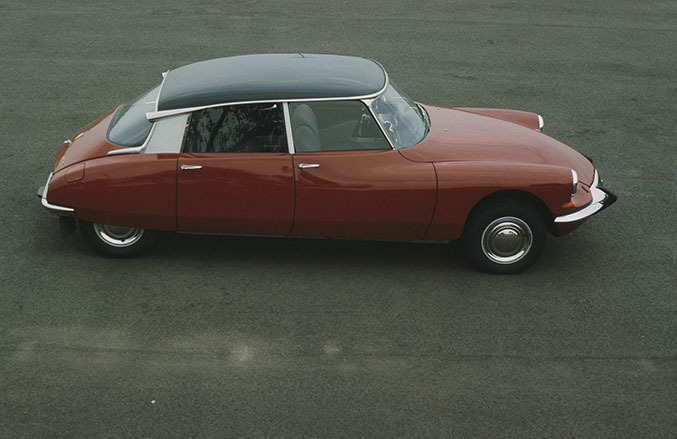 Citroën received 800 orders for the DS in the first hour of the show and a whopping 79,000 orders by the time the event closed its doors several days later. These figures are even more impressive considering the company was selling the DS for the lofty price of 940,000 francs and asking all buyers to leave an 80,000-franc deposit. Furthermore, customers were told they’d have to wait about a year and a half for their brand new DS to arrive. Early DS models were dubbed DS 19 because they were powered by a 1,911cc version of the Traction’s four-cylinder engine that generated 75 horsepower and 101 lb-ft. of torque. Fed by a double-barrel Weber carburetor, the engine featured aluminum heads with hemispherical combustion chambers. 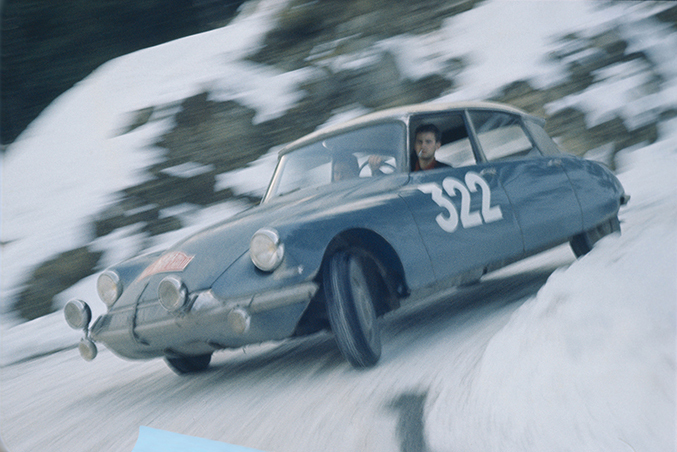 The hydropneumatic suspension gave the DS an exceptional ride over even the roughest pavement. The hydraulic system also provided power assist for the brakes, the steering and the clutch, eliminating the need for a third pedal. The semi-automatic gearbox appeared towards the end of the development phase when Citroën realized building a fully automatic unit would take too much time and money. The DS 19 got off to a great start - especially considering early cars were plagued with fairly important hydraulic issues - but its high price alienated many loyal customers that had been driving Traction Avants for decades. 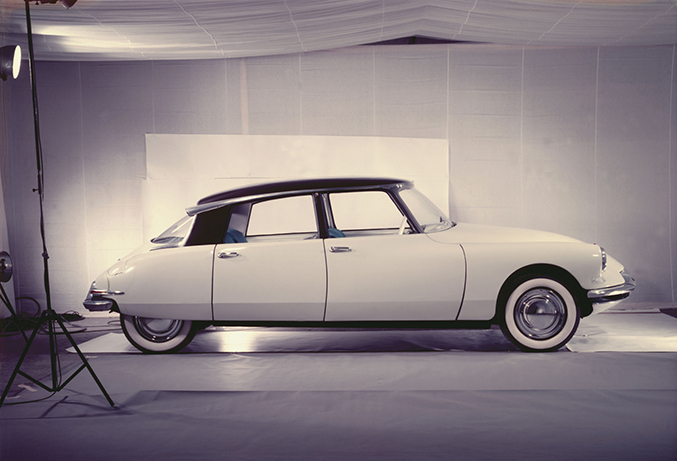 In response, Citroën introduced a stripped-down version of the DS called ID 19 in 1956. The letters were pronounced “idée,” or idea. The ID 19 was powered by a 66-horsepower version of the 1.9-liter engine that spun the front wheels via a column-shifted manual transmission. It kept the DS’ hydropneumatic suspension but it did not have power steering or power brakes and it was equipped with a no-frills interior. The lineup grew again in 1958 when Citroën introduced station wagon versions of both the DS and the ID. The lineup initially included commercial variants aimed at artisans and business owners as well as family-focused models that offered space for up to eight passengers spread out over three rows of seats. All wagons came with a metal roof, a roof rack and a two-piece tailgate. A year later, French coachbuilder Henri Chapron showed off a convertible version of the DS equipped with a sleek two-door body. The ragtop was so well received that Citroën decided to add it to its lineup as a special-order model in 1960. In retrospect, the convertible’s production process was needlessly complex: finished cars were shipped from the Citroën factory to Chapron’s workshop on the outskirts of Paris and torn down completely before being rebuilt as convertibles and sent back to the automaker. The production process got much simpler over the course of the 1960s but the convertible always carried a noticeable price premium over its hardtop counterpart. A host of miscellaneous updates came in the early 1960s including a minor facelift, the availability of a regular manual transmission on the DS, seat belts for the front passengers and a new range-topping trim level called Pallas. Pallas cars stood out thanks to full wheel covers, two additional driving lights up front, chrome and brushed aluminum trim on the outside as well as velour upholstery in the cabin. Leather upholstery could be ordered at an extra cost. 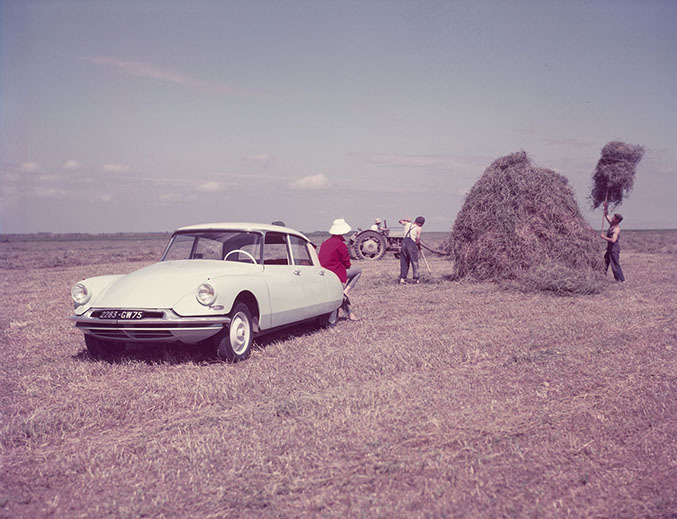 Citroën was all but forced to purchase ailing Panhard in 1964. The Panhard name was phased out over the following years and its tangible assets were either taken over by Citroën or sold, but the whole ordeal cost the automaker a small fortune. The Panhard takeover partially explains why Citroën gave up on fitting the DS with brand new engines including a 1.7-liter V6 unit engineers spent years developing and a two-stroke V4. Instead of new engines, the DS gained a 109-horsepower 2.1-liter version of the existing four that gave it a top speed of 108 mph. Cars equipped with the 2.1-liter were christened DS 21, while the DS 19 soldiered on with an upgraded 1,985cc engine that generated 90 horsepower. Citroën had to set its financial issues aside and face the fact that the DS had gone over a decade without a major visual update. The company consequently gave its flagship model a noticeable facelift in 1967 that included new headlights with optional directional high-beams. The DS was fitted with a Bosch-designed electronic fuel injection system in 1968, pushing its power output to 125 horsepower and its top speed to 116 mph. That same year, the millionth DS was built and displayed for a week in Citroën’s flagship showroom on the Champs-Élysées in Paris. It was later raffled off and won by a lucky 22-year old student from central France. The bulk of the modifications made to the DS lineup after 1968 were relatively minor, signaling that the car’s career was slowly coming to an end. In 1969, the base DS’ output was increased again to 103 horsepower and it was rechristened DS 20, while the ID was phased out and replaced by the entry-level D Spécial and the mid-range D Super. The convertible was axed from the Citroën catalog in 1971, though Chapron continued to perform the conversion on used cars until 1977. A three-speed automatic transmission built by Borg-Warner and air-conditioning appeared on the options list in 1972. Citroën seriously began to develop the DS’ successor in 1971 when it built a prototype called Project L. The Project L was highly aerodynamic but it shared more visual cues with the mid-level GS that was introduced in 1970 than with the DS that it was tasked with replacing. Although undeniably advanced, the goddess was starting to show her age. 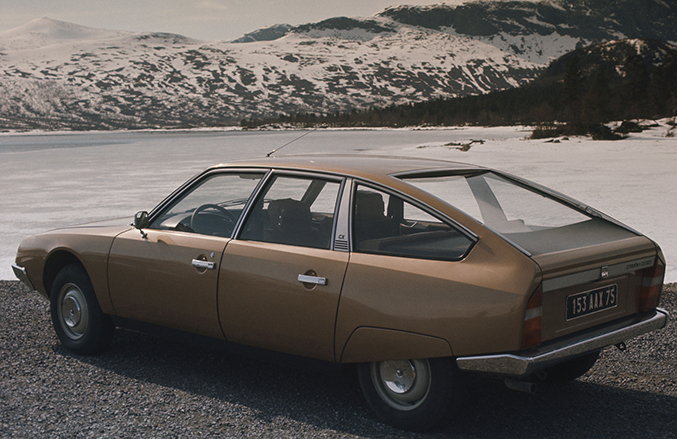 The ultimate evolution of Citroën’s flagship came in 1973 when the DS 23 was introduced. The 23 was powered by a 2.3-liter engine that made 115 horsepower when carbureted and 130 horsepower when equipped with fuel injection. The more potent version of the 23 could reach a top speed of 118 mph, a useful velocity in an era when the speed limit on French highways was a ballpark suggestion at best. The brand new CX was presented to the press in August of 1974, mere months after Citroën was taken over by rival Peugeot following its second bankruptcy. Citroën had high hopes for the CX and some of the prototypes it tested in the early 1970s were equipped with advanced powerplants such as a Wankel rotary engine designed by Comotor (a failed joint-venture between Citroën and NSU) and a Maserati-sourced V6 mill borrowed from the SM coupe. Neither engine was fine-tuned in time so the CX was launched with a 2.0-liter from the DS 20 and a 2.2-liter from the D Super5. 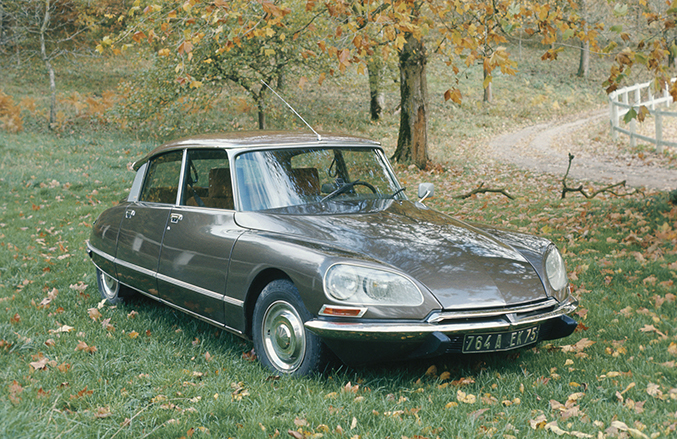 Journalists were not far off when they wrote that the DS was 20 years ahead of its time: production ended in September of 1975, nineteen years and eleven months after the car was presented to the show-going public in Paris. Most of the 1.3 million D-Series sold were assembled in France but some were built in England, in Belgium, in Portugal, in Spain, in South Africa, and even in Australia from complete knock-down (CKD) kits. The DS 19 joined the unpopular 2CV in American showrooms shortly after it debuted in late 1955, and the ID 19 followed about a year later. Sales were slow for a host of reasons that included the company’s lack of image in the minds of U.S. buyers, its small dealer network and the difficulty of finding spare parts. U.S.-spec sedans and wagons followed roughly the same evolutionary path as their European counterpart throughout much of the 1960s, though they were fitted with sealed-beam headlights after the 1967 redesign. The DS left the U.S. market when the 1972 model year drew to a close because the National Highway Traffic Safety Administration (NHTSA) announced it was preparing to pass new regulations that would essentially ban cars with an adjustable suspension in the name of safety. In the United States, a range-topping DS Pallas stickered for $5,065 in 1972. To put that figure into perspective, that same year a Cadillac Calais sold for $5,938 and a Mercedes-Benz 220 (w114) retailed for $6,267. The D-Series participated in several motorsport events over the course of its long career. Six examples (including a few of the hand-built pre-production models) were entered in the 1956 edition of the Monte-Carlo Rally but none managed to take first in the overall event. The DS participated in the Monte Carlo Rally regularly over the following years, winning the race in 1959 and in 1966 after the winning Mini Cooper S was disqualified. The DS also participated in the Mille Miglia, the Rikspo Kalen, the East African Safari and the Rally of Morocco. Some of the later race-going DS were chopped into coupes with a fastback-like silhouette in order to reduce their wheelbase. All press photos © Citroën Communications. The Project L photos come from the author’s archives.